Trisha – I had a gender reveal party and needed a cake at the very last minute. Mary was not only gracious enough to accept the order with a little less than 48hrs but she met me to deliver the cake so I did not have to drive to pick it up. I received a great cake. Everyone enjoyed the reveal and kept asking who I used for the cake. I gladly gave them Mary’s information and will recommend her to all I know. I will be using her services again. Thank you for the best experience yet. Tanya G – I have been blessed to sample Mary cupcakes, cookies, and cakes. 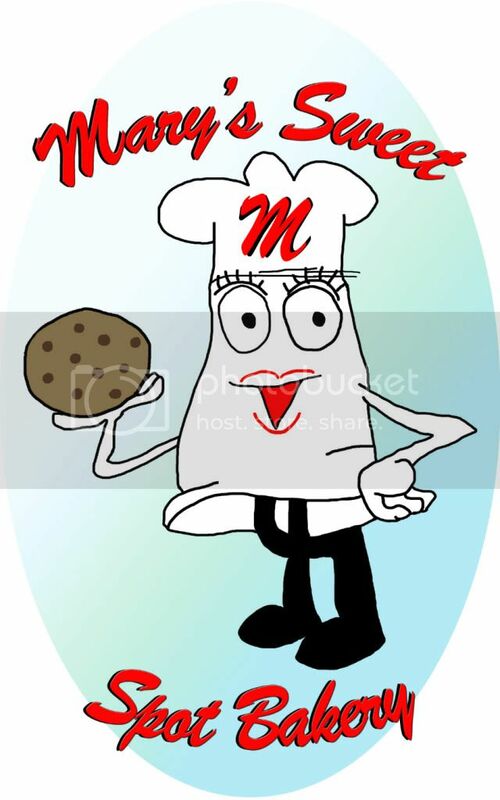 She has the moist creations. Every time I have one I think they can’t get better yet someone she does it every time. I would highly recommend everything she has. Vera M – Moist, moist, moist!!! Yum, yum, yum!!!!!! Need I say more! Mary can make anything!!! Mary’s Sweet Spot is perfection confection! Lindsey B – Mary’s goodies are some of the most moist and tasty treats. She make very unique flavors and each is artfully done by hand! Can’t get any better than this. Kim K – Extremely creative and well-matched flavors is what draws us back to Mary’s Sweet Spot every time! Shona N – The quality of her baking is superb and she uses all ‘real’ ingredients – just like you would do it if you wanted to take the time! I use her for all my office events, large gatherings, and even my wedding! She is so friendly and easy to work with. You will NEVER go back to store-bought baked goods! Ted B – Once in awhile you meet someone who is naturally gifted at what they do. Mary, the namesake of Mary’s Sweet Spot Bakery, is one of those people. Over the past few years, I’ve had the distinct privilege of sampling many of Mary’s baked goods and they’ve always been fantastic–every one of them and without exception! She has an artist’s mastery of the confectioner’s palate and zeal enough to experiment and improve upon her creations. For example, I typically hate orange flavored icing and cakes. I really do. But I had Mary’s version at work and I couldn’t believe how good it was! It wasn’t sugary or fake tasting and there was just enough of a fresh orange flavor to be ravenously enticing. Long story short, you’re looking at a true to life hidden gem. My coworkers and I have had her pastries over and over again and everyone of us routinely looked forward to them. I have this bakey on SPEED DIAL! No kidding. These cupcakes and cookies are the best. Not only are they lovely to look at but they taste like heaven. I have ordered several times and I’m always happy. They are also packaged very, very carefully which makes them easy to transport to school/parites. HAPPY, HAPPY, HAPPY!